Trapped, died 25 July 1942 (ZMA). 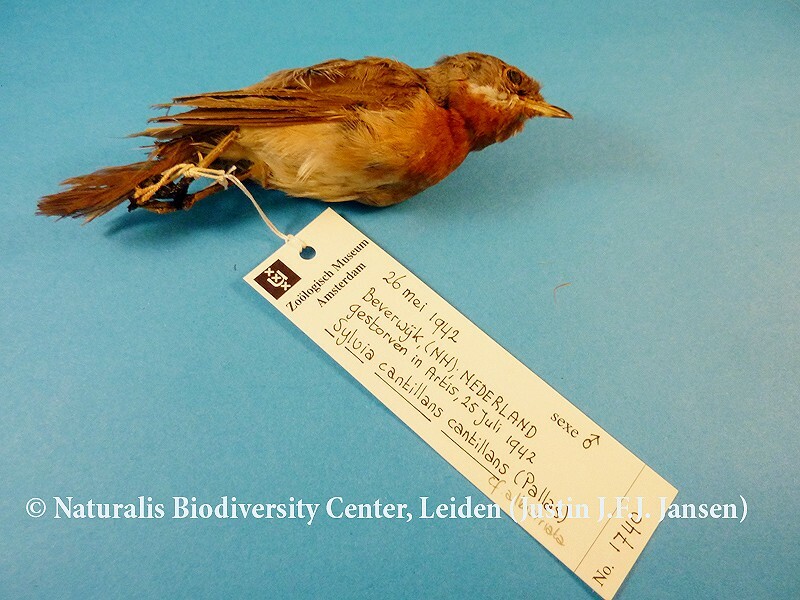 Subalpine warblers in the Netherlands: revision of records 1942-2012 Following the taxonomic revision of ‘Subalpine Warblers’ Sylvia cantillans (Svensson. 2013a, cf Redactie Dutch Birding 2014), the Dutch rarities committee (CDNA) decided to review all records in the Netherlands from 1942-2012. It turned out that three are now (re)accepted as Western Subalpine Warbler S inornata and 27 as Eastern Subalpine Warbler S cantillans. The remaining 35 remain accepted as ‘subalpine warbler’ S inornata/cantillans/subalpina (in four cases, Moltoni’s Warbler S subalpina could be excluded). The only record of a Moltoni’s in May 1987 is currently under review and is not taken into account here. A. Wassink & CDNA.